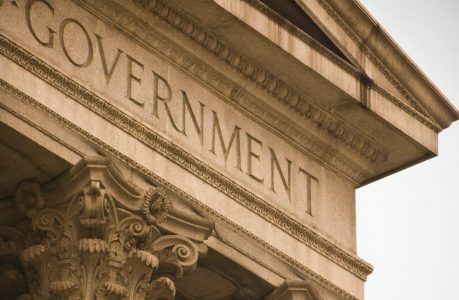 Under the American federal system, local governments are creatures of the state with no constitutional identity. In many respects, local governments exist only as vehicles for delegated authority. As discussed previously though, land-use authority has historically been the province of local government. People in the United States expect their neighborhoods to reflect their values and their culture. But what happens when a national priority intersects these values and cultures in the public rights-of-way that comprise our communities? The tension between these needs is one of the features of American federalism and provides some of the dynamism in our policymaking. But this only happens when stakeholders are offered the opportunity to collaborate. Federal preemptions are generally made without input from local governments. This is in some ways understandable: local needs may not reflect national needs, and vice versa. The public good of a contiguous high-capacity telecommunications network, for example, can’t account for the fact that nobody wants a cell tower in front of their house. But this is precisely why local governments need a voice in policymaking: so that the granular interests of local communities are not truncated by federal laws. The Broadband Deployment Advisory Committee was established by the FCC in 2017 to stimulate broadband infrastructure development. By most accounts though, this committee was designed to provide industry representatives occasion to affect federal telecommunications policy at the expense of local government authority. In fact, committee member San Jose Mayor Sam Liccardo quit and in his resignation letter argued that, “It has become abundantly clear that despite the good intentions of several participants, the industry-heavy makeup of BDAC will simply relegate the body to being a vehicle for advancing the interests of the telecommunications industry over those of the public.” Implicit in his statement is that local governments best represent the interests of the public in matters relating to rights-of-way, and that there was no federal interest in such concerns. The FCC’s ruling in October 2018 —which went into effect in January —was the product of this committee, and explicitly strips local authority from decisions regarding the siting and installation of small wireless telecommunications facilities, affirming Mr. Liccardo’s concerns. In such an environment, local governments have only a few options for asserting local priorities. Local governments can themselves assert some limited authority in siting telecommunications infrastructure and assert some aesthetic considerations in project designs. Creating rules for attachments to public infrastructure, like street lights and traffic signals, is a good way for local governments to ensure that their assets aren’t degraded by antennae or other attachments. They can also create detailed technical manuals and one-stop permitting to funnel applicants in a preferred direction. Finally, clear zoning regulations on broad categories of utility infrastructure can be used to prevent encroachments from telecommunications facilities. These policies must be utility-agnostic, though, and cannot specifically restrict telecommunications equipment. Some local-government advocacy organizations are attempting to reassert local prerogatives in the policymaking process. The National Association of Counties Telecommunications and Technology Steering Committee has developed a series of policies that militate against local authority preemption and assert the value of local voices in telecommunications policymaking. Their document describes local governments as, “Stewards of substantial amounts of public rights-of-way,” and as vital to serving local interests. Next Century Cities is an organization that’s helping local governments share and develop policies to support broadband while also advocating for local government. Their work to organize and promote local government has helped elevate local broadband projects, and has also helped local jurisdictions develop policies and ordinances. The Local Solutions Support Center is likewise positioning itself as both an advocate and resource for local governments pushing back against preemption. Their work is focused on clearly defining the problem of federal preemption and highlighting its effects on our communities. While their aegis extends beyond telecommunications infrastructure, their policy prescriptions are a clear indictment of federal attempts to quash local government authority. There are also some Congressional efforts to claw back some authority for local governments. Congresswoman Anna Eshoo’s HR 530, for example, would completely nullify the FCC’s October 2018 decision. Local policymakers frequently find themselves in fraught conversations with residents who demand that their interests be represented in these matters, but the federal intent has consistently been to divest locals of their regulatory authority. The move against local authority has been comprehensive and is not bound by political affiliation. We live in an era of aggregation and commodification, and the tapestry of communities that comprises the nation is being forced to conform to national priorities over their own individual, local interests. Until a national interest in local government rights manifests, this homogenization will only continue.